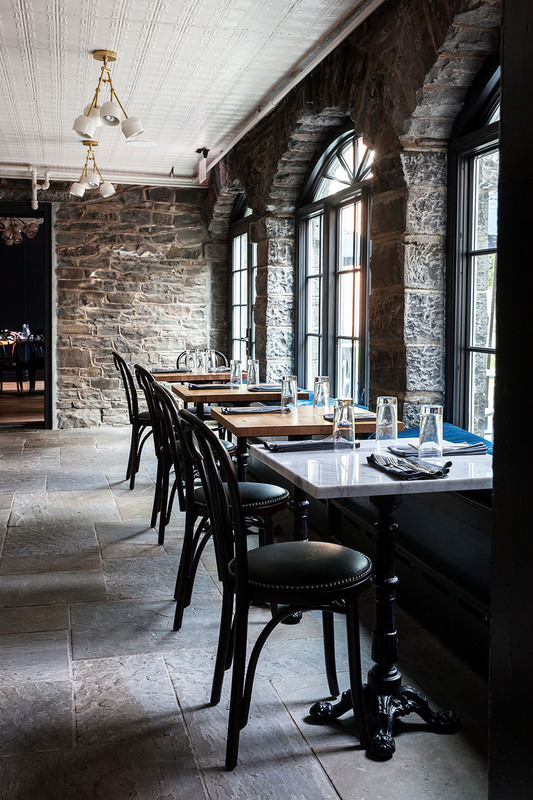 Butterfield is the farm-to-fork restaurant and bar located inside Hasbrouck House, in historic Stone Ridge, NY. The revolving menu pays homage to original Hudson Valley cuisine, sourcing only from local farms and orchards. The restaurant’s floor plan of intimate dining spaces creates the perfect fireside setting for couples celebrating a special occasion; with larger groups occupying the lively main dining space or the bluestone patio in warmer months.